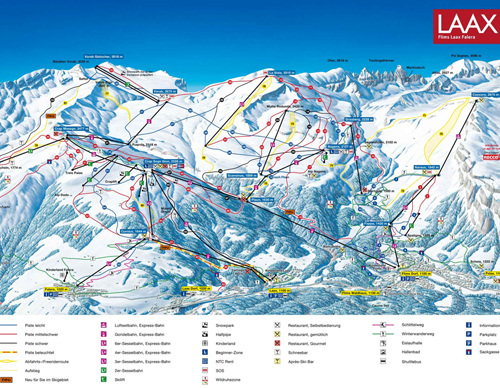 When talking about the Alpenarena or Laax, all three mountain resorts Flims, Laax and Falera are included. 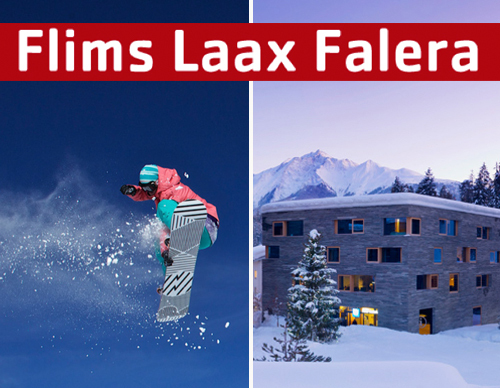 It doesn’t matter weather you stay in Flims, Laax or Falera, there is a direct link to the ski area from all three locations. Flims is the most vibrant of all villages while Falera has maintained the charm of a typical quiet mountain village. Lovely Laax is somewhere in the middle. Not less than 235km slopes, 4 snowparks, Europe’s largest half pipe, an indoor freestyle training centre and great cross-country skiing runs are awaiting you. Most of the slopes are 2000 metres above sea level – which guarantees enough sunshine and snow. … dancing the night away at the club of Riders Palace. This venue regularly hosts international DJs and top acts such as DJ Shadow or Mando Diao. A more quiet fun is a walk around lake Cresta or a carriage ride through the forest between Flims Waldhaus and Conn. The Alpenarena offers a wide variety of things to do. Café Livingruhm in a former locksmithery for instance is a very cosy alternative to winter sports, they offer yummy coffees or drinks. You might be tempted to have a closer look at shops like Alprausch or Chopp, so better bring your purse. 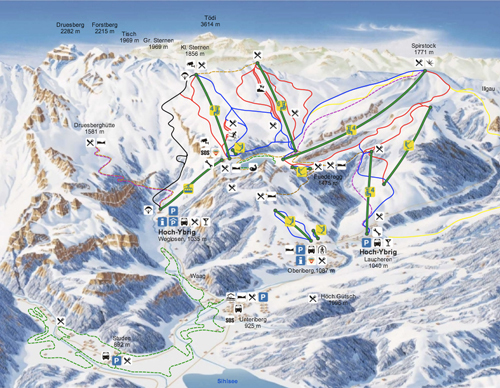 Davos is one of Switzerlands largest ski fields. 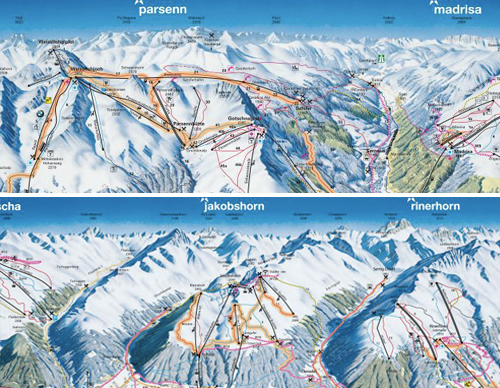 Skiers and boarders can choose their runs on five different mountains, overall 320 kilometers of slopes await you. Be prepared for crowded slopes on peak times. … soothing your sore muscles at “Eau-là-là” – the public pool has a wellness section and an outdoor whirlpool. For the non-sporty ones, a coffee break at lovely café Kaffeeklatsch is a must. 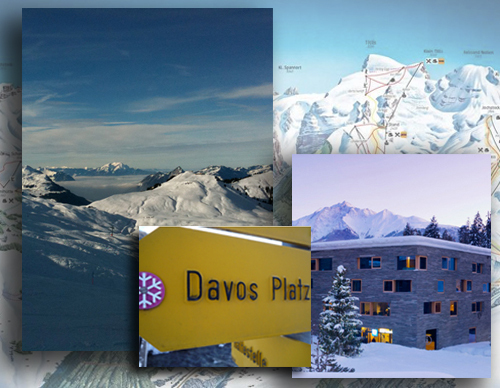 From above the mountains, Davos might look like a mountain village – it’s definitely not. 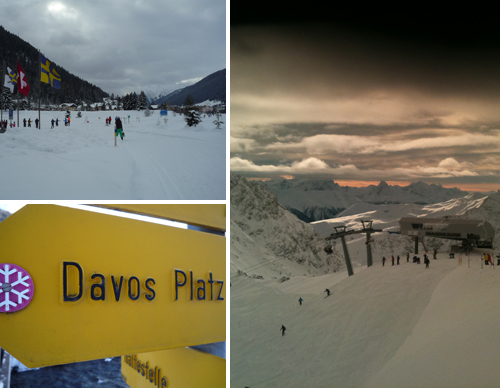 Davos is a city that has something for everybody – shops, bars and a cinema. Davos is famous for it’s nightlife too. While the snowboard crowd parties at Bolgenschanze, you’ll find a more mixed public at Pöstli club. Engelberg has it all: Steep and long runs at Titlis, cosy slopes at Bruni and the Fürenalp, a ski field just for families and snowshoers. 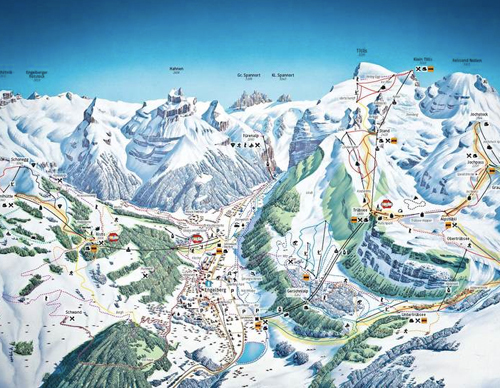 Plus Engelberg is famous for its great off piste skiing – please only leave the marked slopes if you know what you are doing or if you are with a local guide! 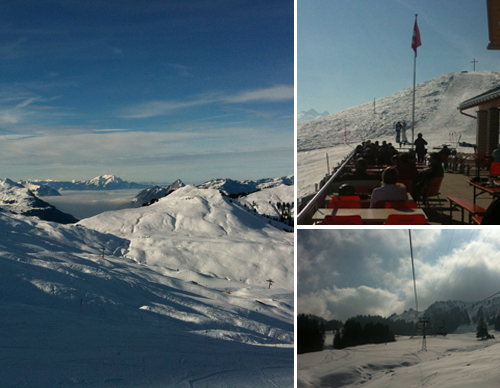 … taking the cable car up to the Titlis. The summit is on 3238 meters and the view over central Switzerland is just breathtaking. Engelberg is the perfect base in central Switzerland. If you need a break from the slopes, Lucerne, Stans and Altdorf are just nearby and well worth a touristy day trip.